Eh, these guys are ok. Whatever. 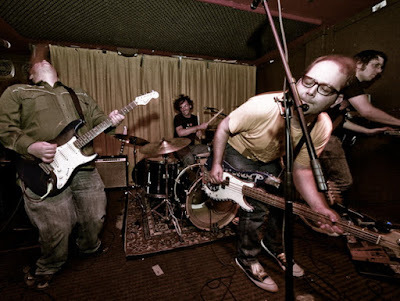 Like an unholy Midwestern man-wich of Cheap Trick and Brainiac, ifihadahifi has been breaking teeth and taking names for well over a decade, with seemingly no plans to grow up and head off to the glue factory. And god bless them for sticking around, as their mix of synth bleeps, guitar noise, and fist in the air anthemic choruses has only been getting better and better with each release. IfIHadAHiFi recorded our own little sharp poke in Walker's ear (actually, i doubt he's ever even heard it) when we recorded "Imperial Walker" in 2011 at the previous Howl Street Recordings locale, raising over $500 for Russ Feingold's Progressives United PAC. A tiny drop in the bucket, but a donation all the same. It's also a pretty accurate distillation of what we do--extremely noisy indie rock with hooks buried way below the chaos. So check it out below, and if you're into it, check out some of our other releases. There ya go!